While you can technically use any text style of your choosing, I find it best to create a dedicated linetype for text styles. I typically give this text style a super-cryptic name like LINETYPES. 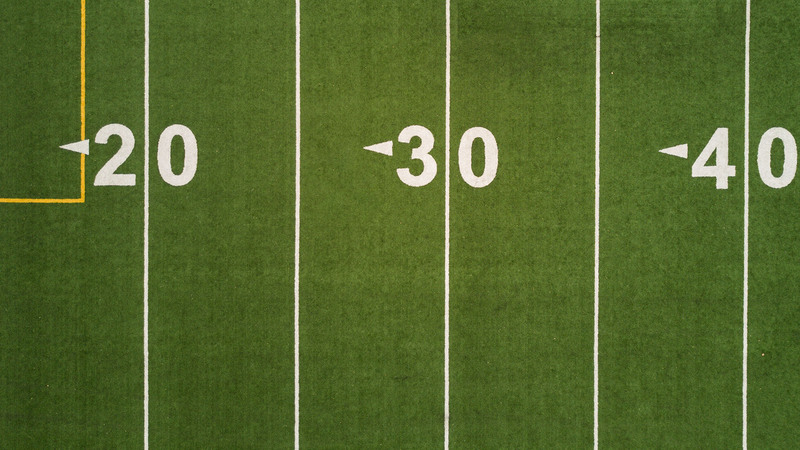 When creating this test style it’s important to define it with a Height of ‘0’. Here’s how I typically define my LINETYPES text style. Creating a text stye for linetypes. 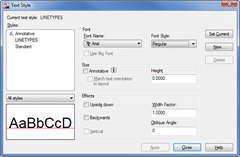 Although your linetype definition will respect test style settings such as Font Name and Font Style, it will ignore “Effects” like Oblique Angle. That means if you distinguish between existing and proposed with an “obliqued” text style, you’ll need to reconsider your text standard and/or how you use text within linetypes. 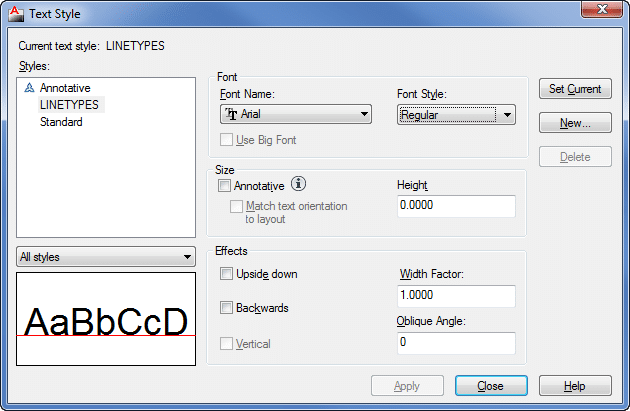 This limitation is one of many reasons I’ve become a fan of True Type fonts inside AutoCAD. Using a True Type font like Arial you can create a text style with an Italic Font Style. With my LINETYPES text style in place, I’ll simply draw the linetype at a scale of 1:1. That’s to say if I want the text within the linetype to scale to 0.1”, I’ll draw the linetype with my text 0.1” tall. Using the Make Linetype (MKLTYPE) command, I’ll follow the prompts to create a new linetype definition. 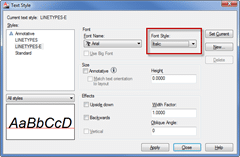 Using the Make Linetype (MKLTYPE) command in AutoCAD 2011 will create your linetype definition using the new Upright linetype property. The text contained within your linetypes will remain plan readable (ie not upside down) when the Upright property is used. Any linetypes you may have created prior to AutoCAD 2011 will need to be updated to utilize this property. To do this, open your linetype file (.lin) in your favorite text editor (Notepad). If you use imperial units, you’ll probably need to display the inch mark (aka quotation mark) in your linetypes. If you look to the linetype definition above, you’ll notice that the text string is ended with a quotation mark. That’s to say if you entered [6” W] AutoCAD would ignore the W (Water) portion of the string. My workaround for this is to use two single quotes inside your text string. Inside your drawing it will look nearly identical to a real quotation mark. Using these tips, you should end up with a linetype that looks something like the illustration below. Someone, please help me. The text in my linetype will not show up oriented the correct way. I have tried using R instead of U and U instead of R. It always is the same. Hi all..Well I managed to create the line styles I required..But when I go to load it in another drawing I am getting ..Bad definition of 1 at line 2 of file..then it goes thru each linestyle I created..at line 4 ..etc…anybody else had this??? 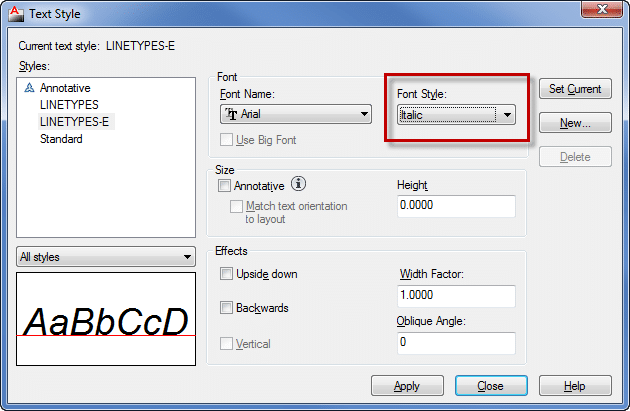 Make sure the textstyle named in the linetype is in your new drawing. I have a block with all the linetypes in it that I insert into a drawing to do this. please, Please, PLEASE amend this post to include that the text should be TEXT and not MTEXT!!! Great and informative post but it nearly killed me that I couldn’t pick the “text” because it was MTEXT. To anyone looking at this…..
How come you people are so thick where you describe how to do everything but, no discription on what to do. While it seemed clear to everyone else if you could tell up what part you are having trouble with I’m sure we could expalin it to you. This post was completely useless. You don’t even say how to join the text into the linetype editor. Moron. i can’t seem to select the text as part of the linetype command. it captures the lines, but not the text. thoughts? 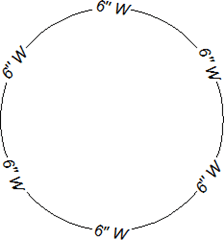 how would I create a new linetype that consists of a continuous line with a white box around it? Fantastic info. on the upside down text in linetype. Tom – Great tip – thanks for sharing! Try %%34 or U+0022 for a real quotation mark.